Getting the best possible microphone for studio recordings is especially important if you’re a rap artist. Since you don’t play an instrument and you’re typically not surrounded by an entire band, your vocals are the only thing you have to make sure to sound good. 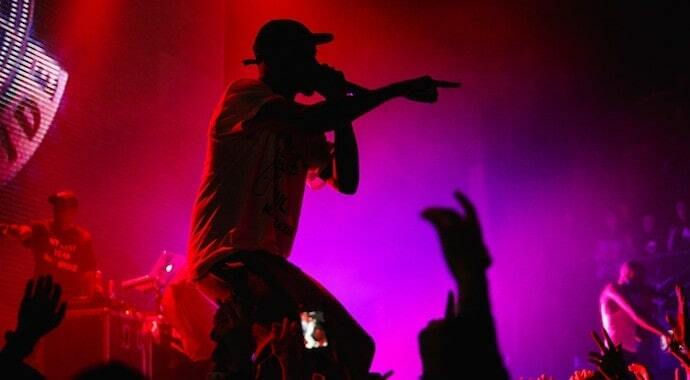 And, if you want to spit some crazy bars, you want to make sure your audience hears them loud and clear. But, how do you know which mic is a good option for rap vocals? With so many options and industry-specific terms, it can be hard to navigate through this competitive market. That’s why I created this buying guide with detailed information about my favorite mics for recording rap vocals. Below are some of the best mics for rap vocals you can find on the market. All of them come at different price ranges and with different features, so you will definitely find a mic that suits your needs, whatever your experience and budget restrictions may be. What Makes a Rap Microphone Special? 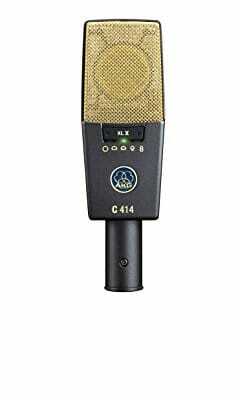 The little brother of the famous AKG C414, the C214 features many of its important features but without any of the extras. 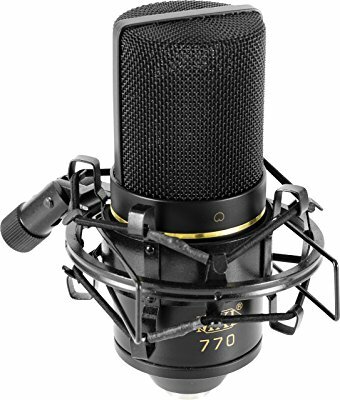 Of course, this comes at a significant reduction in price, so if you’re interested in buying a mic with solid features and a good pedigree without paying too much, this may truly be one of the best microphones for recording rap for you. The C214 gives you two key features present in the C414 – the high pass filter and the 10dB attenuation pad. This gives your vocals a nice bass-end, especially if you’re a male rapper. However, female singers may sound thinner than on some other microphones. The sound is bright and clear, and the construction is scratch and shock-resistant. This mic is a good middle-of-the-road option if you’re not looking to spend a fortune on your gear but still want a decent mic to capture your rap lyrics clearly. High pass filter that can also handle instruments. Great sound for male vocals. May sound a bit thin for female singers. The top end is not nearly as smooth as the C414. Another very affordable option, the MXL 770 is the most budget-friendly entry on this list. However, that isn’t to say that it delivers an unworthy performance. I find that this mic outperforms most competitors in its price range and is a steal at this price. Its bright top end and solid bass make it especially effective for rap artists. This rapping mic has a rich low frequency that welcomes both male and female vocals. It also has a low-cut filter that can help you get the most out of your voice by tightening the low end. The maximum SPL is 137dB – exactly what you would expect at this price range. But, the reason why this mic is even mentioned among the more expensive options is the sound quality – it produces very clear and bright sounds with ease. There is, however, one downside – it can pick up some background noise. Still, if you’re an amateur musician and you’re just getting into the rap business, I can’t think of any better mics to start with. The most affordable option on the list. Low end sounds great for both male and female vocals. Can pick up some background noise. Quite a leap from our previous entry, Rode NTK comes at a substantial increase in price. However, with the “premium” price tag comes premium performance – this mic has some impeccable audio characteristics that justify its price. Just by taking one look at this mic you get a sense of elegance and attention to detail. It sports a charming minimalist design that plays an important role in making the mic sturdier and more durable. Its interiors are specifically designed to protect the diaphragm from damage caused by excessive vibrations. You can switch out all the parts (even the tube component) and the mic is very easy to disassemble. When it comes to the sound, the NTK doesn’t disappoint. It responds to compression magnificently, so there is almost no need for EQ-ing. Although this mic is a tube condenser, it doesn’t entertain much noise and the vocals sound very stable. It does, however, sound a bit closer than some other microphones, so you can maintain your distance from it and still sound great. Great response to compression, so it requires less EQ. A well-known name in the microphone industry, Audio-Technica is a Japanese company that has been in the game for more than 50 years. During those 50 years, they have released several impressive models that range from decent to high-level products. The AT2035 falls straight down the middle, as it’s more affordable than the top-end products on the list, but has more advanced features than the entry-level mics. When it comes to the design, this mic looks more expensive than it actually is. It’s quite heavy (400 grams), so it can withstand all the pressure and rumbling you may put it through when traveling. It also comes with plenty of useful accessories. It produces the trademark Audio-Technica sound – balanced and warm. It can handle up to 148dB SPL, which is very impressive at this price range. It is, however, quite a sensitive mic, so you will likely have to deal with a certain amount of noise. Comes with several accessories – shock mount, stand adapter, pouch. High sensitivity means more noise. Another entry from Rode, the NT1A comes at a significantly lower price than the NTK while packing some of the same features. However, the Rode NT1A is better compared to its predecessor, the NT1. It’s a noticeable upgrade from the previous model, as it offers a wider frequency range and better noise cancellation. The design is nothing to get excited about, although minimalism enthusiasts may find it quite attractive. It comes with an abundance of useful accessories, including the absolute highlight of this pack – a studio quality pop shield. This accessory will eliminate plosives very efficiently. The audio sounds very natural and nuanced, similar to some more expensive models. The mic also shunts noise very well, so even the quieter lyrics of your raps will be picked up easily. The midrange is transparent and the high end smooth. Since it has a low noise floor, you can keep your distance and still rest assured that everything will be picked up perfectly. Comes with a bunch of useful accessories. Nuanced and transparent mids, smooth highs. No attenuation pad or filter. Some people experienced too much noise when recording. I’ve already mentioned the C414 when talking about its cheaper version, but now it’s time to get into more detail about what makes this mic so great. It comes in two versions: C414 XLII and C414B XLS. Both of these are great performers, but they do have different audio characteristics, so you can choose the one that fits your vocals and style. This is one of the most famous microphones in the industry, and for good reason – the audio is top-notch and you have a lot of opportunities to explore different sounds. This is because of the button on the front that allows you to alter between nine pickup patterns. 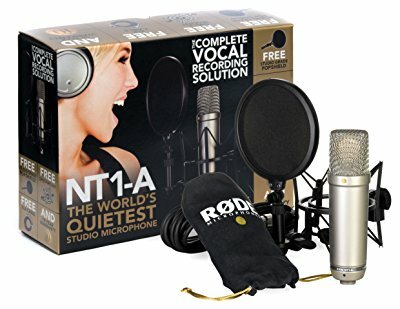 This gives you the opportunity to set your vocal range and the noise range from the sides and the back of the microphone. The hi-pass filter offers three cutoff options and the attenuator pad also gives you three options: 6dB, 12dB, and 18dB. 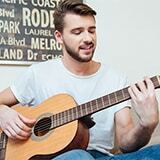 All of this allows you to get the perfect audio you’re looking for to complement your vocals. Three attenuation pad choices and three hi-pass filter slopes. May seem a bit too fragile for the price. The most expensive entry on the list. If you want a premium mic but you’re not willing to spend a fortune (like you would have to for the C414), you may want to consider the Neumann TLM 102 MT. 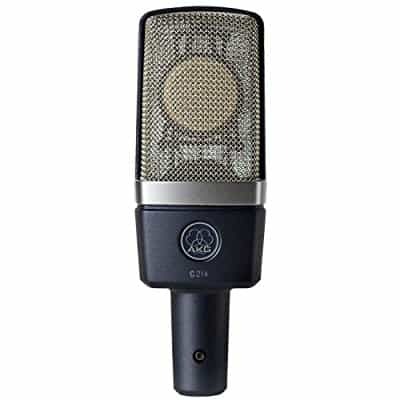 Although by no means a cheap microphone, the 102 MT punches well above its price range. It is quite a compact mic, so it’s easy to carry around in transport. However, since it’s a condenser, you may want to be more careful with it. Although the mic has its own integrated pop filter, buying another one could help you avoid damage and plosives. My favorite thing about this microphone is how clear it sounds. Even without an EQ, you can still use its raw output. Its maximum SPL of 144dB makes it perfect for loud instruments, but it’s even better for vocals. Male and female vocals have clear presence and plosives are almost nonexistent. Doesn’t come with a shock mount. Another mic from Audio-Technica and the last entry on our list, the AT4040 is one of the best rapping microphones you can find. It has a pretty wide frequency range and fast response, which makes it perfect for rappers. It sports an attractive matte black design that is as sturdy as it is elegant. It comes with a variety of accessories, including the very useful spidery shock mount. While this shock mount provides a firm grip, it can be time-consuming to adjust. The audio is very airy and rich, and it even adds some extra sparkle by pumping up the highend. Maximum SPL is at 145dB, although it can be extended to 155dB with the help of the attenuation pad. One of the best features in this microphone is the filter that can completely eliminate the plosives that may be tainting your sound without affecting the quality of the low frequencies. 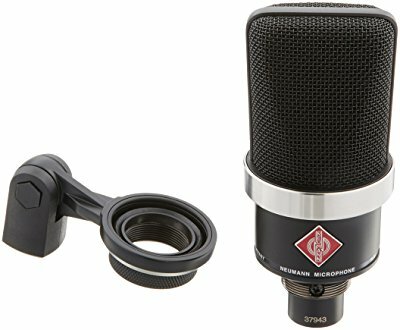 Given its price, the AT4040 is one of the best mics for rap vocals that you can get without breaking the bank. Handles very high SPL with no distortion. Carry case and shock mount included. You will likely notice plosives if you don’t use the pop screen. Buying a mic for rap vocals isn’t the same as buying a regular vocal mic. There are several things you should pay attention to. Here are some factors you should consider when looking for a suitable rapping microphone. The first thing you should consider is whether you want the mic for your live performance or studio. Dynamic mics, for example, would be a better option if you want one to perform live. You should also have a clear understanding of the sound quality you want to get from the microphone. Check out the section below for more info on sound quality. It should go without saying that sound quality is of paramount importance. Though, I need to stress that each mic sounds a little different. They are usually described as full-bodied, bright, deep, or warm. These descriptions relate to the type of sound that characterizes the recording and might be related to different rapping styles. In general, if you want a brighter sound you should go for a condenser mic. The diaphragm in a condenser mic is more sensitive which translates to better high frequency response. You’ve probably noticed that I mentioned maximum SPL several times throughout the article as one of the important factors that determine the quality of a microphone. SPL stands for Sound Pressure Level, so maximum SPL refers to the amount of noise a mic can take before starting to distort. This is especially important for rappers, as they often shout their lyrics more aggressively while standing close to the mic. Most quality mics have a maximum SPL of over 140dB, while anything over 150dB can be considered impressive. If you want to record in a studio, just getting a mic will hardly be enough. It would be nice if the mic comes with a few accessories, especially if you wish to use it in the studio. 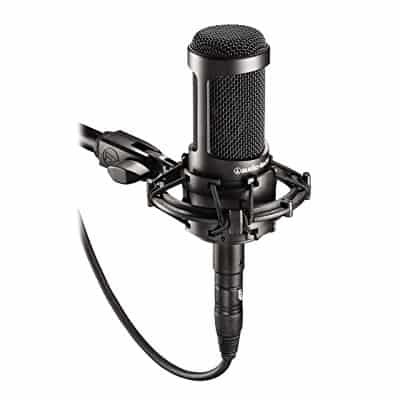 There are a few different packages available that include a shock mount and a pop filter. You’ll want to find a mic that has as many accessories as possible – from mic stands and carry cases to wire adapters and USB mics. For rap artists, pop filters are one of the most important accessories, as they can help eliminate plosives that can affect sound quality. All of the mics on this list are condenser mics, and for a good reason – they are perfect for studio recording, as they are more sensitive and produce vocals more clearly. On the other hand, dynamic mics are usually more durable but the audio they produce is less accurate. You don’t need a Jay-Z studio or budget to produce some killer rhymes. But if you want your lyrics to sound right, you should be prepared to spend a few bucks. On the other hand, there are some really good mics that don’t break the bank, and you need to factor in the prices of your other gear as well. Besides the mic, you need a few accessories like a shock mount, a stand, and a popper stopper. Altogether it amounts to about a few hundred dollars without other recording gear that you need. I cannot stress enough the importance of vocals when recording rap. And if you know what to look for, you should be able to understand the way a mic will affect your vocals. Different mic frequency response curves will deliver different vocal quality. For example, if a mic emphasizes lower frequencies it will give you deeper vocals. On the other hand, if there is a bump between 4 and 6kHz, this mic will give you crisp or bright vocals. However, there are microphones with a flat frequency response and they give a balanced tone. Every mic on this list has a rather flat frequency curve as measured in the laboratory. My impressions are based on real-life applications. If you’ve ever tried to rap on a regular mic, you probably noticed that the rhymes don’t come out as you want them to. This is because most regular microphones are not designed to handle the movement that is integral to a rapper’s performance. Thus, the thing that makes rapping mics special is the ability to cancel any noise that comes from aggressive handling. But I need to point out that there are also other features in these mics designed to properly pick up your vocals. I hope this guide helps you decide which rap mic is the best option for you. Remember, just because one mic works for some people, it doesn’t mean it will work for you. We all have different vocals, so it’s best if you try all the mics that fit your budget and look interesting. When testing them, make sure the audio they give you is warm, clear, and accurate. Your ideal mic should also do a good job of eliminating plosives, as I imagine you would hate to hear your lyrics overpowered by a bunch of noises that you don’t want to hear on your track.